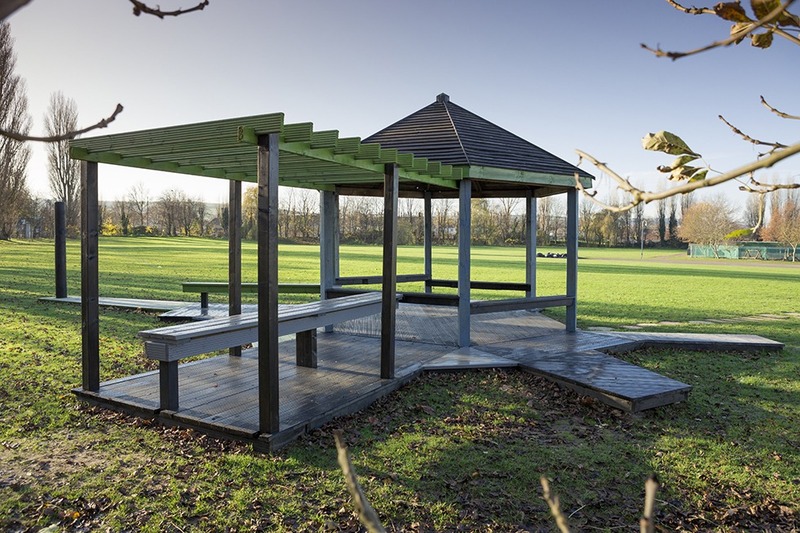 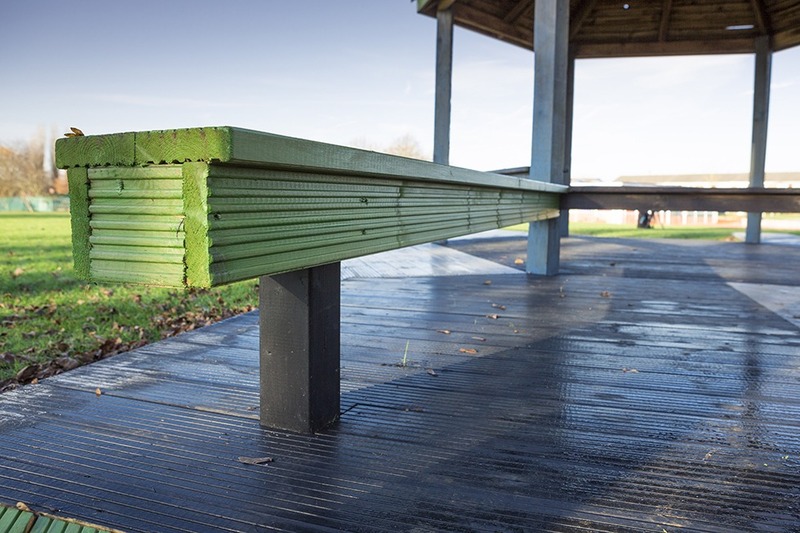 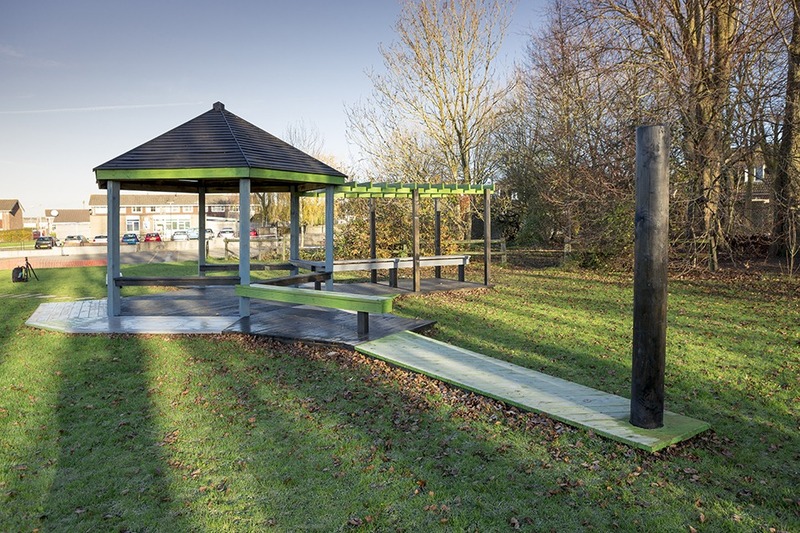 A rather sad and neglected pavilion on Perry Court's expansive playing fields was reconditioned to create a quiet area with shelter to enable more intimate and conversational play. 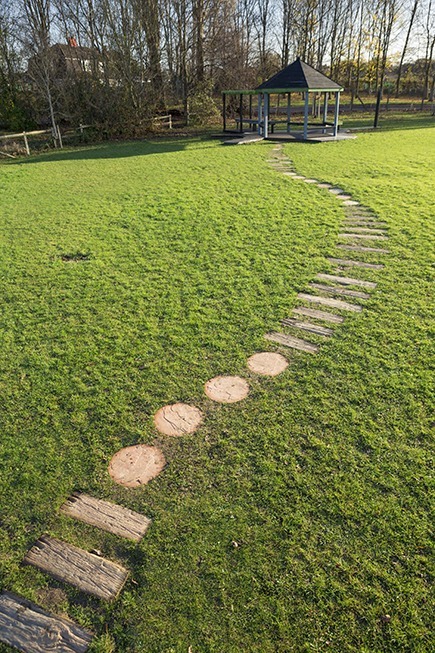 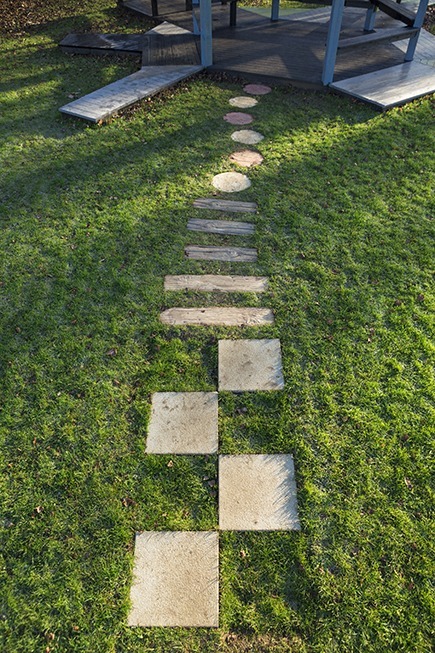 A stepping stone path connects the pavilion to the main hard surface play area making it easier to access when the grass is wet. 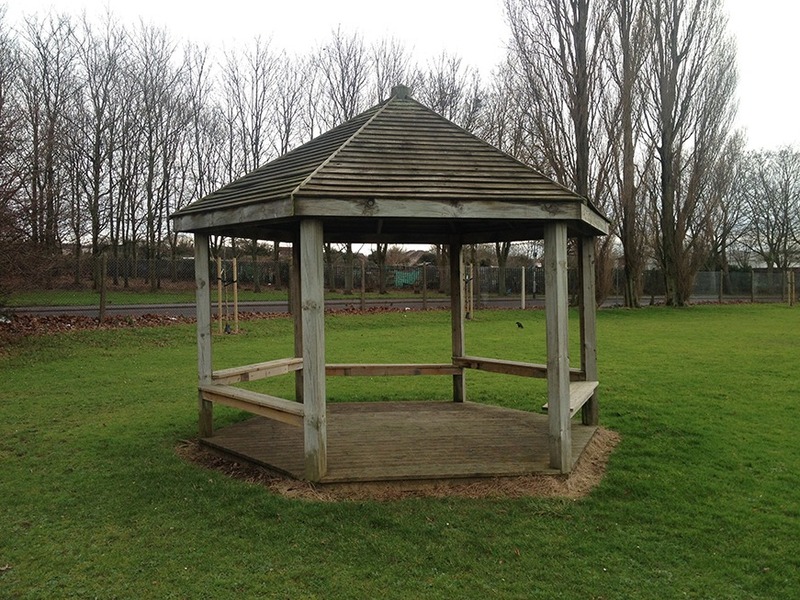 One part of a series of design interventions across Hengrove for the public art commission Future Perfect. 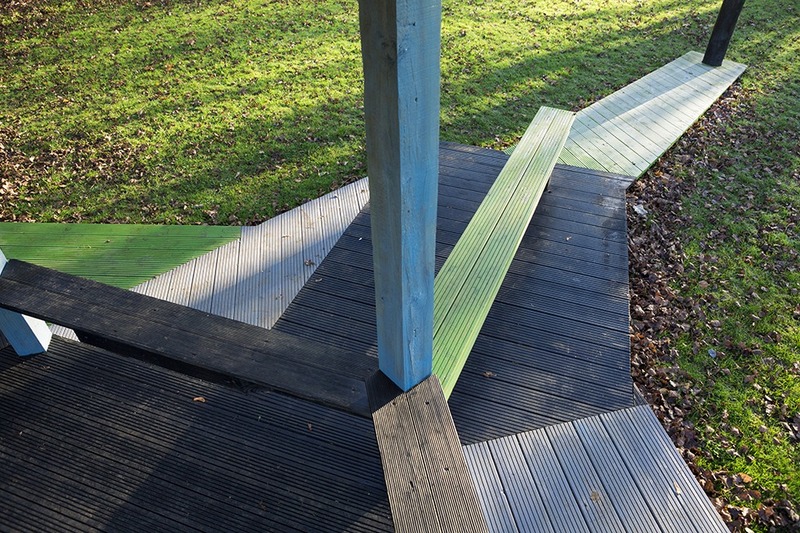 Curated by Theresa Bergne and Jes Fernie. 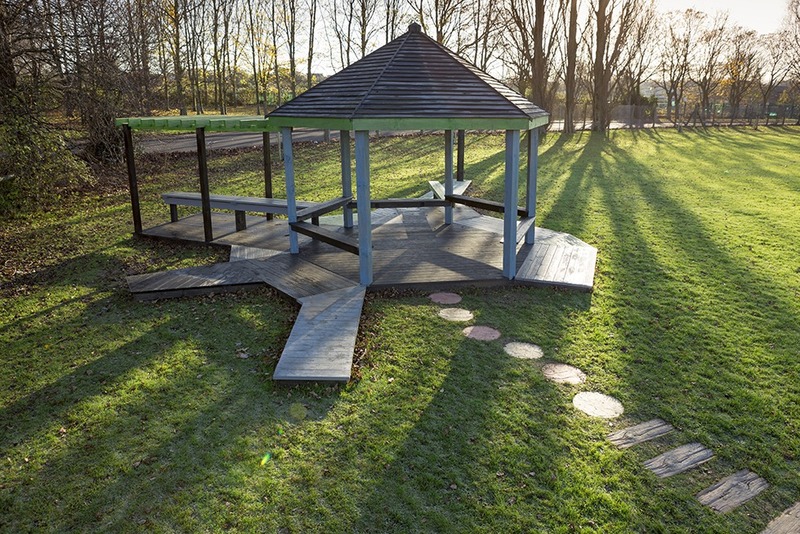 Future Perfect is commissioned by Bristol City Council and is the first public art programme to be funded through a Neighbourhood Partnership in which governance is extended to members of the Hengrove community.